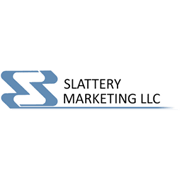 Slattery Marketing, the largest volume independent corporate brand grocery broker in the New York-New Jersey area, has chosen to implement a comprehensive web-based ERP and database management solution from AFS Technologies, Inc. Designed specifically for the unique needs of sales agents, the AFS™ Sales Agency Management and AFS™ Data Exchange solutions will provide Slattery Marketing with integrated core functionality, extensive Electronic Data Interchange (EDI) capabilities and streamlined data synchronization. With its core focus on world-class software solutions to advance operational efficiencies for the food and beverage industry, AFS Technologies will enable Slattery Marketing to receive, process, and transmit orders and invoices via EDI to communicate with its principals, customers and partners more efficiently. The New Jersey-based broker will also benefit from the solution’s extensive out-of-the-box reporting functionality to better manage daily operations and analyze critical business data. A partnership with AFS Technologies will further empower Slattery Marketing with knowledgeable implementation teams, industry best practices and domain expertise.